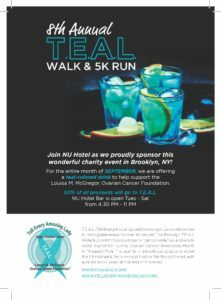 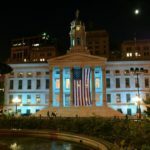 For the entire month of September, the NU Hotel Bar (85 Smith St, Brooklyn, NY 11201) is offering a teal colored drink to support T.E.A.L.® and Ovarian Cancer Awareness Month. 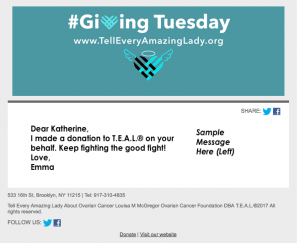 50% of the proceeds will go directly towards T.E.A.L.® research and awareness programs. 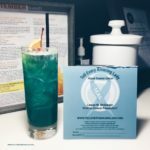 Support T.E.A.L.® by visiting the Nu Hotel Bar today!